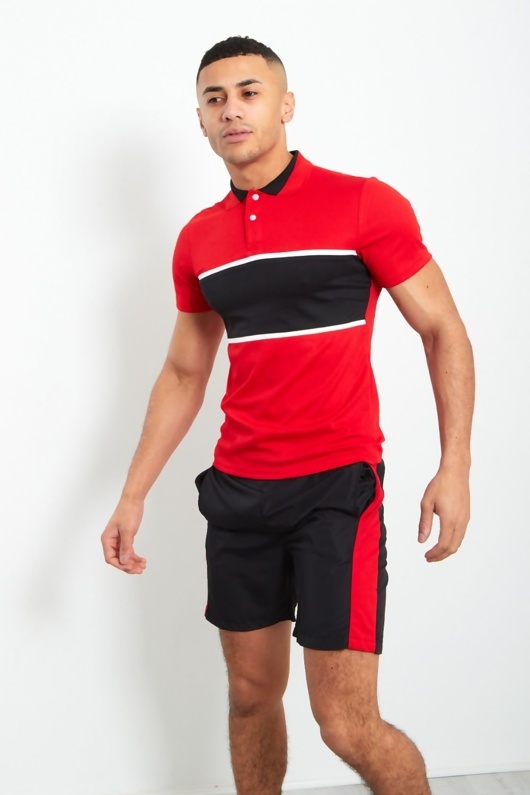 red and black will always be a classic combo. 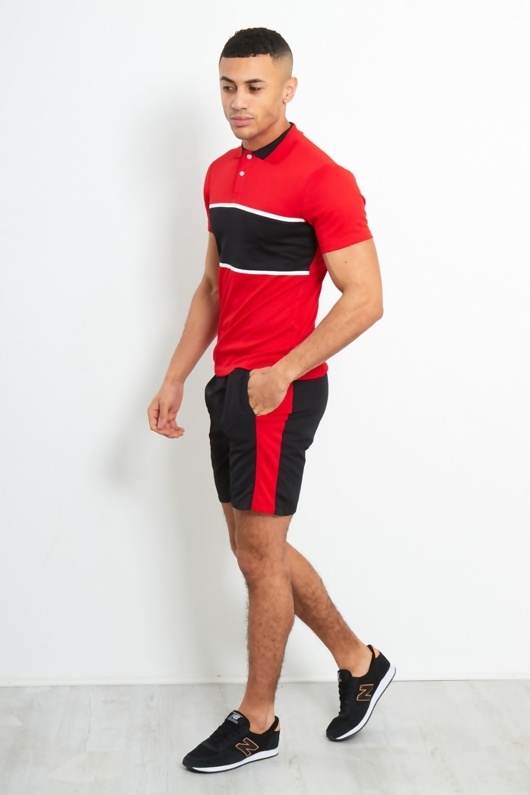 this shorts set features pockets and a classic two button polo neck. 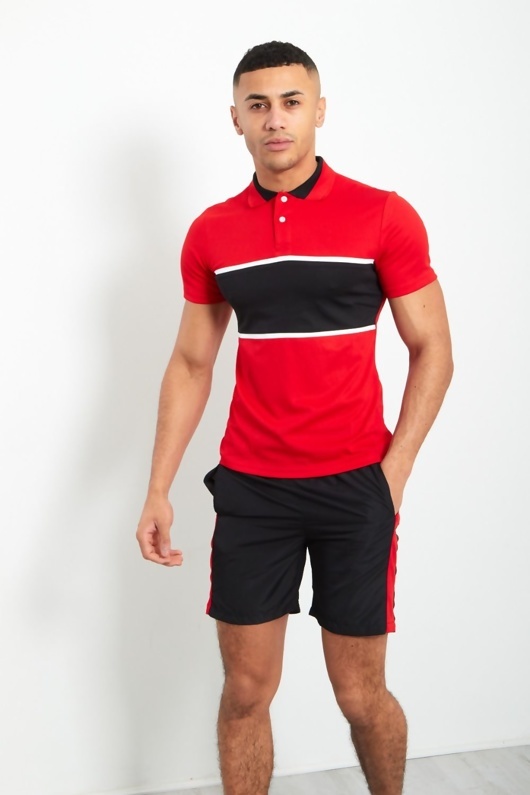 pair with some black trainers to complete the look.